Martin Bowes may be best known for his veteran industrial act Attrition, but he has been hard at work not only performing music but producing, mastering, mixing and remixing from his lair at Cage Studios for 21 years now. In celebration of this, Bowes has compiled a 21 track selection of just some of the music from all over the world that he has had a hand in at the Cage studios this year. 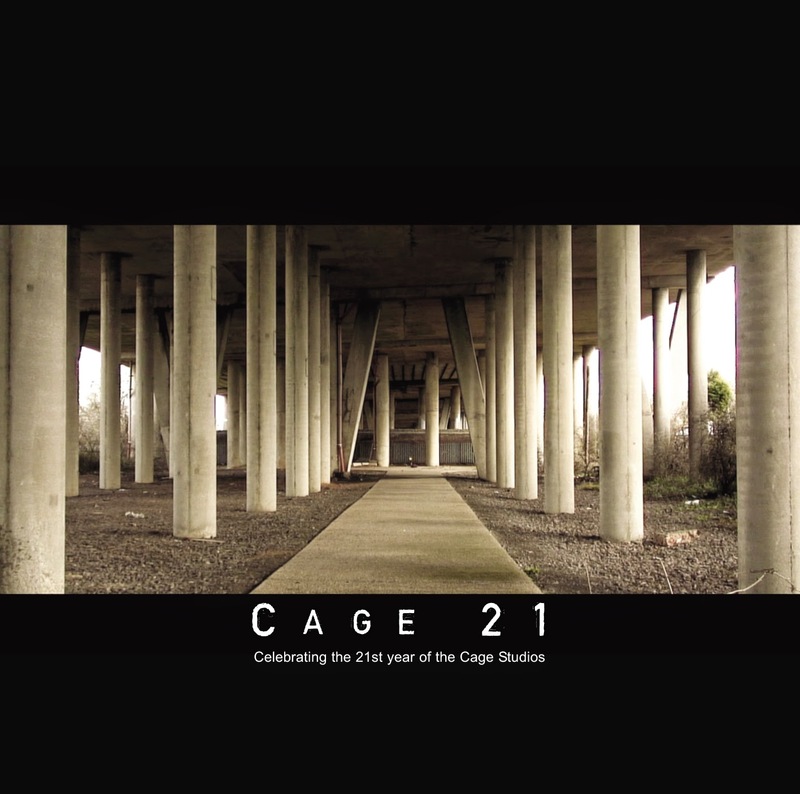 'Cage21' follows on from the previous compilation 'The Cage: the first 20 years', which charted the best of Bowes first twenty years. The new album features a diverse range of artists and genres spanning dark ambient, post punk, minimal wave, noise, folk, industrial, goth, drum n bass, neo-classical, punk and doom metal. With acts such as Naked Lunch, Scarlet Leaves, Rossetti's Compass, Tylean, Johnathan|Christian, Attrition, and My Silent Wake the compilation is an audio curriculum vitae showing off not only the artists hard work and strong song writing, but also Bowes' considerable skills as a producer and engineer. As an album it has a nice slow pace and a relentlessly dark atmosphere with every track complementing each other to produce a compilation that actually feels like it is expressing a unifying theme. It draws you in and even though there is a tapestry of genres at work, it feels very much like it is being presented as a narrative journey rather than a collection of songs. In terms of the production, the individual tracks are all well mixed and the album mastered nicely to maintain the same level of high quality throughout. At 105 minutes it is a good double CD's worth of material and with such a wide cross-section of genres on display throughout it will be hard to please everyone. But what is here is great quality and will throw out something new and exciting for a lot of casual listeners. Don't be surprised if the cage compilations become an annual release as after this Bowes will definitely be getting more work.